Criminals have numerous ways how to take advantage of you. You cannot feel safe either on the street in the middle of the night or browsing the web. However, statistics tell that chances to be robbed on the street are 20 times lower than suffer from one of many cyber crimes. Ransomware attacks and illegal cryptocurrency mining might seem like the two most popular cyber threats. However, security researchers report that online scams are not less dangerous. According to the statistics, crooks managed to obtain more than $1.5 millions from the unexpected prize and lottery scams. A similar sum of money as obtained from threats and extortion scams. Meanwhile, scams used for obtaining personal information allowed cyber criminals to get nearly $3 million. There’s no doubt that scammers continue this illegal business. 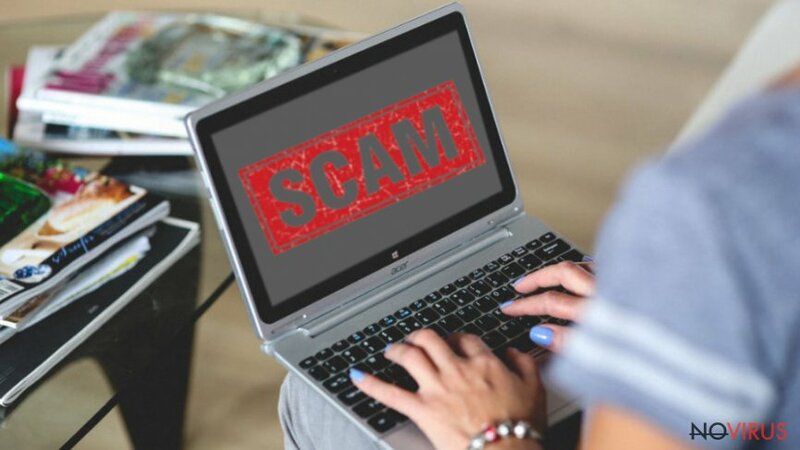 Therefore, you should be aware of five the most popular scams to watch out in 2018 in order not to become another victim who lost money or revealed personal information to criminals. Winning the lottery is always exciting. However, you should watch out online lotteries such as “Congratulations Amazon User” scam in 2018. 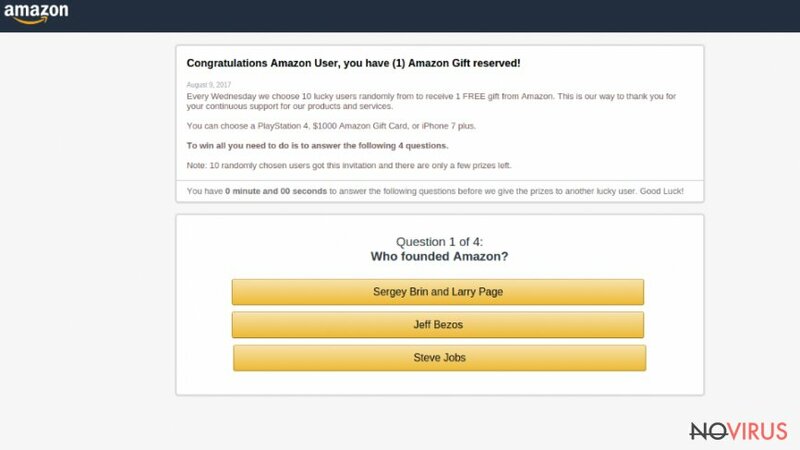 As the name suggests, scammers are willing to trick users that they received an offer from Amazon to fill the survey. Participants are offered to choose one of the great prizes for filling a short and simple questionnaire. However, security experts warn that promises to give you a PlayStation, $1000 worth Amazon gift card or iPhone are not true. At the end of the survey, people are asked to enter some of the personal details, such as full name, email or home address, contact details or even credit card information. However, if you give this information, you will have to deal with privacy-related issues instead of enjoying the prize. Thus, if you found yourself on “Congratulations Amazon User” survey scam website, close the tab immediately. Getting infected with a virus is terrible, especially if it’s one of the most popular banking Trojan’s – Zeus. However, if you end up on a website that tells that malware was detected on your PC, you should close browser’s tab. It’s just a scam. 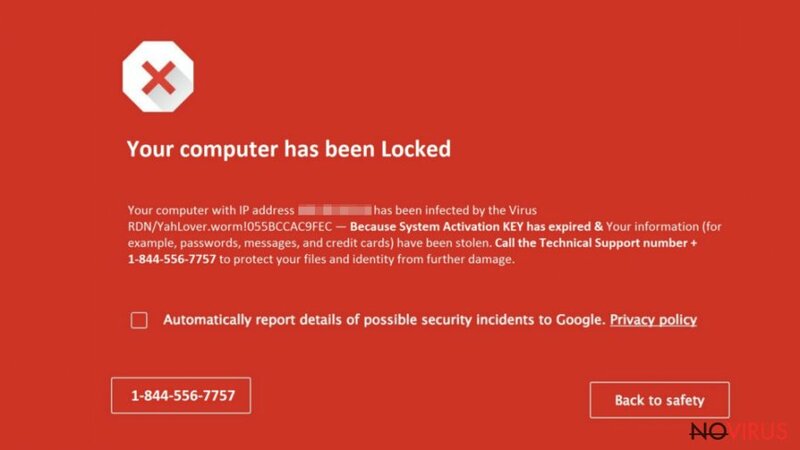 “You have a Zeus virus” is one of the most popular scams that continue bothering users in 2018. Last year, researchers discovered a couple of version of this tech support scams. Nevertheless, crooks use slightly different messages; they still pretend to be helpful technicians from Microsoft. According to the victim reports, scammers asked to pay about $300 for cleaning the computer for non-existent virus. Thus, if you receive a security pop-up asking to call provided phone number immediately and learn how to get rid of the virus, just leave the website or close the browser. Security notifications do not show up in the browser. Only your security software can report about cyber attacks. However, you won’t be asked to call tech support. 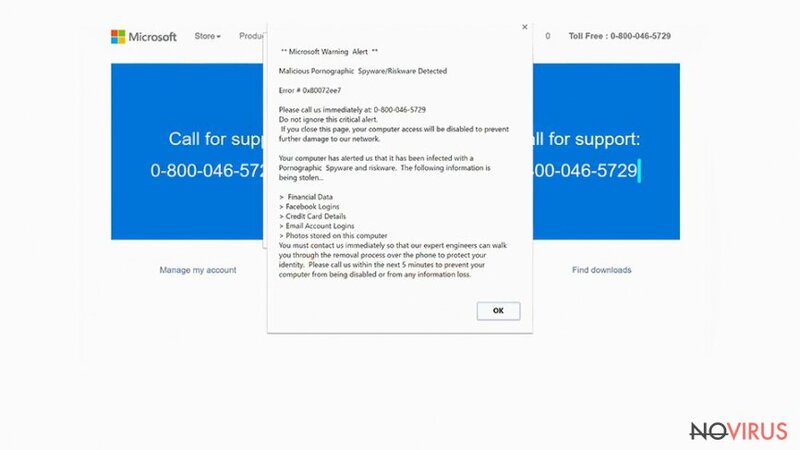 Security experts warn that in 2018 we might see modified versions of the Microsoft tech support scams that deliver a slightly different warning. However, the main principles remain the same. People are threatened into calling fake tech support line. However, before rushing to grab your phone and dialling one of many scammers' numbers, you should double check the information about the issue. Open a new browser’s tab and enter the name of the delivered error code. You will find out that it is not related to any pornographic malware or riskware. Therefore, it’s a clear sign of the scam. If you are downloading and installing programs from various free websites or file sharing networks, you might get infected with Google Security Warning virus. 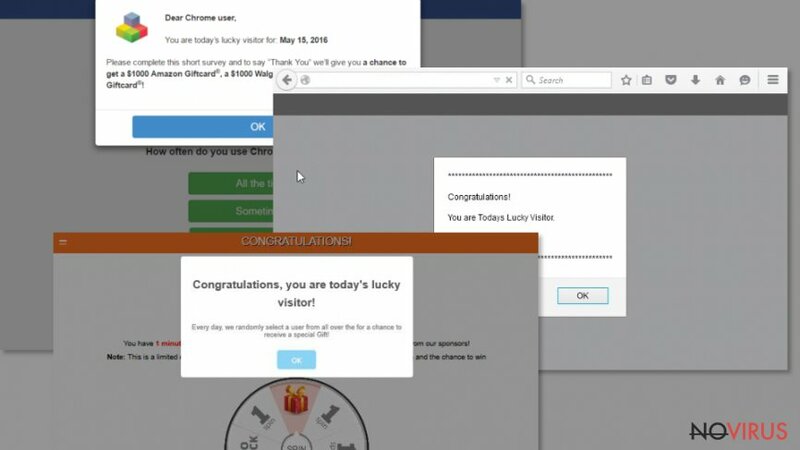 This example of scam spreads with the help of adware programs that travel bundled with freeware. After the infiltration, adware triggers redirects to a malicious website that displays a Google Security Warning. The red website tells that user’s computer has been locked due to virus attack and expired System Activation Key. Google Security Warning malware has several variations that were noticed spreading last year. 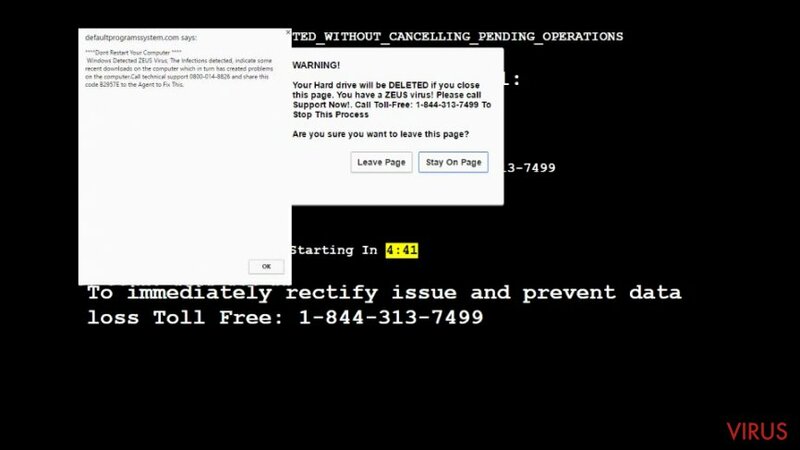 Crooks used the name of the Zeus virus, computer worms, and other cyber threats to scare people into calling fake tech support service. When browsing the web, you might encounter exciting “You Are Today's Lucky Visitor” ads which tell that you won $1000 worth of Amazon, Visa or Walgreens gift cards, Samsung or iPhone smartphones, or other great prizes for absolutely nothing. Remember, that no one gives good for free. Therefore, once you click “OK,” “Thank you” or other buttons on the pop-up, you will be asked either to fill a short survey or just enter some of the personal information to obtain the prize. However, you can fill hundreds of surveys, download asked apps or even give your credit card information, no one will give you a prize. It’s just another scam to watch out in 2018. Each filled survey generates revenue for the crooks. Meanwhile, your PC can get infected with a virus if you download asked browser extensions. Additionally, you might lose the money or other sensitive information, and this may lead even to the identity theft. 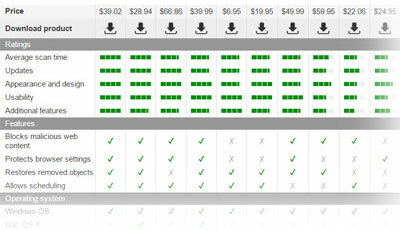 Hence, you should be sceptical when you receive a “You Are Today's Lucky Visitor” ad. 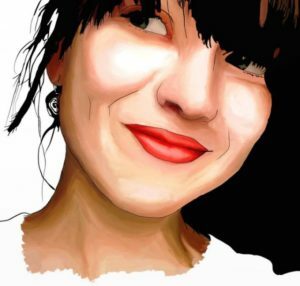 This post was published on 2018-02-26 at 13:40. Category: News, Security.